The Government of Fukuoka, Japan together with “Matz” Matsumoto would like to invite you to enter the following Ruby competition. If you have developed an interesting Ruby program, please be encouraged to apply. 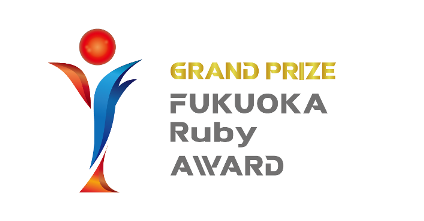 2019 Fukuoka Ruby Award Competition - Grand Prize - 1 Million Yen! Matz and a group of panelists will select the winners of the Fukuoka Competition. The grand prize for the Fukuoka Competition is 1 million yen. Past grand prize winners include Rhomobile (USA) and APEC Climate Center (Korea). Programs entered in the competition do not have to be written entirely in Ruby but should take advantage of the unique characteristics of Ruby. dinner with Money Forward’s Ruby committers. a 10 years free ticket for the premium services of our personal financial management service “Money Forward”.